It is a fact that in recent times Farms and the Rural Community in general have come under increased threat as targets for crime. Here at Aurum Alarms we have identified the area of rural crime to be one of specialised needs and have developed particular strategies to meet the security solutions demanded by the farming, equestrian, and rural industries. Due to the nature of the requirements we have installed and designed specialised security systems specifically to meet these needs. Our solutions are not simply minor adaptions of standard domestic or business systems but bespoke designs. Alarms installed where mains power is available but also where it is not. External motion detectors to warn of intruders or deliveries. Driveway and access road detectors. Coded locking systems for outbuildings, stores, and gates. Farm House, Farm Office and other building alarm systems. Fire detection for stables etc. GSM dialler alert and notification. CCTV applications for all scenarios. Foaling, calving and farrowing cameras. We will endeavour to solve any security problem. 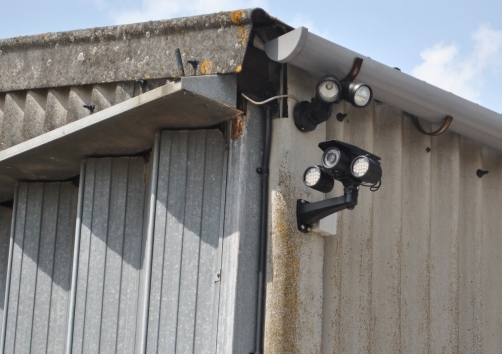 We are located in Salisbury and extremely well placed to offer our installation services and security expertise to the Rural Community in Wiltshire, Hampshire & Dorset. If you are concerned about the security or monitoring of any aspect of your home or business please contact us. Initially we will provide a free on site consultation. After identifying your security needs we will provide a free, no obligation, proposal and quotation offering you a best value security solution based on your specific individual requirements.